On Friday 13 September 2013, Stephen Romei revealed in The Australian newspaper a serious sequence of plagiarisms that had been perpetrated upon the Australian poetry community. The perp was a young guy named Andrew Slattery, an up-and-coming poet based in Newcastle Australia, and winner of a number of prestigious local poetry awards, including the 2010 Rosemary Dobson Prize and the Josephine Ulrick Prize for 2013. Sadly for Slattery, it turns out that this last award proved his undoing. As Susan Wyndham wrote in the SMH, in a piece rather inaccurately titled ‘Plagiarism the word that can’t be uttered’ (given it’s the word everybody’s using): ‘With one of the Ulrick judges, Margie Cronin, [poet Anthony] Lawrence began to Google passages from Ransom [Slattery’s winning poem]. They found about 80 per cent of the long poem was made up of 50-odd poets’ work, some of them famous, such as Americans Charles Simic and Robert Bly, and one Australian, Chris Andrews.’ If part of the literary excitement now involves the hunter’s thrill of tracking down Slattery’s slightest peccadillos, it also involves extending the hunt to others: Wyndham goes on to name the popular Queensland poet, publisher and blogger Graham Nunn as another serial offender. If good times are here for the blessed, there’s a rocky road ahead for the sinners, as well as all the judges and editors and aesthetes who have been left with poetic egg on their faces. The Red Room Poetry website, which catalogues contemporary Australian poets and their accomplishments, includes among Slattery’s publication conquests a slew of Australian media, including Meanjin, Quadrant, The Weekend Australian, Black Ink’s Best Australian Poems, among many others (to which we should of course add here the dreaded Overland rag). The victims have come from all colours of the political and aesthetic spectrums. It seems Slattery has taken in almost everybody, from internationally famous poets such as Peter Porter, all the way through academic specialists and journal editors and media hacks, not to mention a more general and diffuse readership. So it should be no surprise that the OzPo community has gone beserk at these revelations — I don’t think I’ve ever been so called, tweeted, spammed, messaged, mailed so many opinions about anything else in such a short time. Clearly, the poets care. Even more strikingly, the scandal has taken on an internationalist cast, with the fearsome UK-based plagiary-hunter Ira Lightman now on the case. Charles Dickens couldn’t make up such a name: Lightman has, in the past few days, been identifying an enormous number of clear and clearly unacknowledged cut-and-pastings on Nunn’s part, which can be found on his twitter-feed @iralightman. Jeezus. Why is it academia that somehow comes in for a beating for its supposedly preposterously high levels of evidentiary support? Is Lightman being overly academic when he enumerates: ‘Nunn’s ‘Spring Notes’ has 11 words in exactly the same order as Roo Borson’s ‘Summer Grass’. Then 9 words the same in order. Then 3. Then 13….’ Now that’s evidence that would stand up in a court of law (so to speak). Given the pain and suffering that plagiarism can cause, it’s perhaps not only amusing that so many of those accused of poetry plagiarism continue to plead the Cento Defence. The cento is a form composed of borrowings from others’ poems: the term allegedly originates in a martial context, where Roman soldiers would patch up their garments from the cloaks of their enemies. Why is this so funny as a defence? Because (as is often pointed out), none of those charged with plagiarism admitted they were writing centos until they were exposed; moreover, in reaching for such a defence based on tradition, it seems that the plagiarists don’t know anything about the tradition upon which they’re supposedly relying! Like arguments from authority, self-serving appeals to tradition have a particularly unappealing flavour in the current conjuncture. But there’s still something mysterious about the psychology of plagiarism: after all, it’s more than likely you’ll be found out given the power of the internet today. I think here of Sigmund Freud’s concept of those ‘who commit crimes out of a sense of guilt’: that is, the plagiarist who plagiarises just to get caught, so that their unpleasant internal life can be given an external legitimation, so that they can find some relief for their inner torment. Of course, plagiarism is typically very upsetting for those poets whose words have been kidnapped – not least because poets tend to have the strongest possible identifications with words, and because there’s so little else as reward in the poetry world other than a little bit of recognition. But surely that’s another motivation again: to hurt those whose words you steal. Even if you’re caught – like Iago in Othello – the payoff is that your victims have been seriously psychologically hurt, not that you’re getting away with it. Of course, that suggests another possibility: the plagiarist who thinks he or she is smarter than everybody else, who’ll just keep going until he or she is apprehended (if ever). Then yet again, there’s the plagiarist who’s been genuinely captured by the words they are themselves capturing … to the point they cannot consciously remember ever inscribing that other guy’s poem in their notebook. In other words, there’s not a single or simple reason for plagiarism: it’s a genuine complex, as they used to say of Oedipus. The fact that Slattery and Nunn themselves obviously feel bad or at least concerned enough to give excuses about their actions only contributes to confirming the suspiciousness of their actions. But otherwise, what assiduous readers! What excellent tastes! What talents for assemblage! Indeed, the fact that Slattery got away with it for so long and so successfully implies that he knew his readership only-too-well, knew that the prize committees are so often composed of personages with a mediocre or restricted palate of tastes (and possibly of a restricted knowledge about poetry). The prize-giving panels are therefore partially responsible for this unfortunate sequence of unpleasant events, not so much because they didn’t know or didn’t check the details of the submissions, but because their tastes in poetry are essentially for middling, middle-brow palliatives. In other words, Slattery is an excellent confectioner of prize-winning poems. So the self-elected bloodhounds now baying all over the place don’t themselves occupy an indefensible position. Katy Evans-Bush recently posted ‘Now I’m a Real Boy!’ a very long piece about the poetry plagiarism scandals,’ in which she notes that plagiarism is not only about a few despicable desperados, but ‘also about a culture that appears to valorise certain kinds of achievement much more than it values authenticity or knowledge, or indeed art or the act of creation. A culture (and I mean everything, here, not just poetry) that’s more concerned with publication, recognition, fame, than with learning how to do it and then devoting oneself to doing it better.’ As is evident from the slightest acquaintance with the internet, global popular culture is today almost entirely plagiaristic in its ever-accelerating quest for a little bit of attention in an attention-deficit-disorder world. The devices, tools and techniques required to participate in contemporary online culture entail that all materials are essentially appropriated, and can only circulate through ongoing processes of sampling and retransmission. Hence such voices as those of the US poet Kenneth Goldsmith, founding editor of UbuWeb and notorious for his support of what the well-known poetry critic Marjorie Perloff has denominated ‘unoriginal genius’. Goldsmith has himself written books with such worthy if yawn-inducing titles as Uncreative Writing: Managing Language in a Digital Age. Here’s Goldsmith, twittering at Lightman: ‘Plagiarism is not a problem. The problem is not openly admitting that you’re a plagiarist.’ While this is perhaps partially true – for reasons I’ll shortly go into – it’s mainly not. Why? First, because plagiarism IS a problem: not simply an administrative problem for which we can find a solution, but a deep conceptual problem which cannot simply be wished away. Second, what’s the word ‘openly’ doing here? Is Goldsmith really as crassly Cartesian as this makes him sound? After all, one key issue of plagiarism is that it redistributes and complicates the very relationship between ‘closed’ and ‘open’, or ‘secret’ and ‘open’, etc. There’s no simple way to be ‘open’ about plagiarism without misunderstanding what it is. Finally, and most seriously, why is it somehow OK to admit to stealing? Does it not make it stealing if you say you’re doing it? This is surely Yankee free-market imperialism at its most self-deluded and self-righteous. After all, isn’t it so George Washington to do a bad thing and then get some kind of moral kudos by confessing to it? Goldsmith’s is not then the radical détournement of the Situationists’ subversive unoriginality (btw I’ve nicked this phrase from a number of authors) which seeks to undermine the constitutional inequities of the international IP system, but that which epitomises the prime injustice perpetrated by the plagiarist: like a corporation patenting a gene, a plagiarist takes a named, known environmental function – and acts as if it’s his, laughing all the way to the tenured academic bank. But this brings us to the heart of the matter: that the term ‘plagiarism’ is so over-determined and confused that nobody really has a clue what it means. If you don’t mind me cutting-and-pasting from an article I wrote on plagiarism and originally published in Space, No. 2 (2005), I’d like to specify the following four major positions upon plagiarism still current if usually confused or confounded with each other: 1) the legal, 2) the pedagogical, 3) the ontological, and 4) the managerial. They cash out as follows. 2) The pedagogical position: plagiarism is simultaneously a theft, false work, laziness, insurrectionary, stupid and effacement; it must be vigorously combated if people are to be taught what’s what. These positions are at once imbricated and incommensurable; they are institutional yet interstitial; they are contemporaneous but cannot be held together without contradiction. Yet, without anybody providing decent distinctions regarding their co-contribution to the concept of plagiarism, the same intense and divisive bellowings are going to occur again and again. In fact, the again and again is something that the injunction against plagiarism was intended to exclude definitively: ‘in modernity, novelty is a necessary condition for information to be accepted as knowledge. Anxieties about plagiarism and the temporalisation of knowledge are coterminous facts’ (I cite myself here, if I am indeed the same person I was when I wrote those words, which I seriously doubt, so I will at least mark that I am doing so so as not to be accused of self-plagiarism, etc.). Plagiarism becomes a thought-crime when we need to find a way to linearise information; it is a practice of time. Today, when everything happens everywhere online, all at once, it is no wonder that plagiarism becomes at once omnipresent and unactionable. Yet isn’t it the case that all this says something that nobody wants to admit? These current scandals in poetry confirm that people worldwide still desperately care about poetry despite its absolutely essential irrelevance to any economic indicator you might mention, and that – despite the crazy uproar surrounding the instances of plagiarism – this shows that poetry will continue to enjoy a glorious future yet. as mr clemens instigated this rant thread, perhaps he might take time out to end it by summing up? So (to be guilty of plagiarism myself) plagiarism arises when we attempt to govern or master successiveness, and becomes ungovernable in a simultaneous age? I seem to remember reading once a suggestion by the linguist Edward Sapir that there have only ever been three or four ideas or thoughts in the world, and on that reckoning, most of us are guilty of thought-crimes most of the time. What is it, I wonder, that makes words, whether obscurely chosen and arranged or not, such a fetish and so sacrosanct; and echoing the linear word chains of others, unheralded, such a taboo? Unless, more simply, a plagiarist is someone who refuses to quote a source not his own for whatever reasons, whether criminal, underhanded, lacks education (doesn’t understand the flexibility offered by quotation), or is so gullible and magpie-like or egotistical that anything and everything said or heard or written is simply taken and repeated by him as if naturally belonging to him, just as the world and other people naturally echo what he thinks and says? One hopes there’s not too much iceburg behind this tip. In investigations in the past week surrounding the Qld poetry plagiarism, it’s come to light that a poem i published in 2010 in Australia was stolen (reworked only very slightly) by Qld poet Vuong Pham. Pham received a monetary award for this poem in the Ipswitch Poetry Feast, and published it in his first chapbook (which perhaps not coincidentally was published by Graham Nunn). Pham has issued a statement on his website, though has skirted around using the word ‘plagiarism’. If anyone else has been caught up in this (my understanding is there might be other stolen poems in his chapbook, though i’m not certain; and several stolen poems might have already been removed from his blog) i’d welcome hearing from you – i feel uncomfortable knowing that my work is sitting in bookcases under Pham’s name, and am interested to explore options. This is madness. Sorry to hear Sam. Perhaps someone out there already has a copy of his Refugee Prayer and his second, Steeples. Do you know if he returned the prize money? I’m sorry to hear that too, Sam. Must be a fairly gut-wrenching feeling. How did you find out? That’s an insult to magpies. Magpies don’t gather objects; bower birds do. La Gazza Ladra? Invoking an overseas magpie licence here, mate; Rossini / La Pie Voleuse, and all that shite; heard echoing through A Clockwork Orange, Once Upon a Time in America, Sony “Bravia” TV advertisement et al. Didn’t wish to sully a great indigenous tradition devoid of plagiarism, I’d guess. “Texas” your argument is ridiculous and frail. Plagiarism is theft. It’s a way for poets who know their work doesn’t stand out to give an impression that they’re better than they appear. It’s the quick fix. Plagiarists don’t take the scenic route, they steal the map. i agree with what everyone is saying about slam. why sould poetry be turned into a competition or a game show? i dont understand why poets who claim to be radical want to compete like thatt. leave it to the attention seekers and conservatives and those who love to win. Radpoet, you completely misunderstand the concept of slam. That’s not surprising though. Most people do. It’s actually about taking the power to decide what constitutes good ‘art’ – in this case, poetry – and giving that power (back) to the general populus, rather than relying on some kind of high-brow ‘gate-keeping’ process which decides which art the public is allowed to have access to (eg: traditional publishing, lit journals etc). It’s about taking art directly to the public, then going one step further and saying ‘ So, which bits did everybody like?’ That’s why it’s no surprise that opposition to the form most often comes from poetic academia – the ‘gatekeepers’ if there can really be said to be any. Slam actually has nothing to do with competing against each other. People who think it does mustn’t really have encountered much slam in Australia. If they did, they’d see that the way the slam community supports each is absolutely extraordinary, perhaps even an anomaly in the writing world. you sound much more liek a gatekeeper than any academic, telling me what i undersand and misunderstand. I lived in nyc & saw plenty of slam. 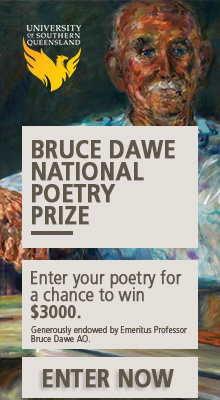 people turning art into a competition where one poet gets declared champion is as capitalistic as you can get. if thats what you want to do maxine fine but dont pretend it’s radical. some of us are happy to talk about poems without winners and losers. we dont need so called radicals turning everything to be a competition. strange that people think that plagarism is a lack of poetic integrity or strength — all my poems are stolen! who amongsat us has invented a “new” language — NOT taken from anyone else??? Perhaps what is being understood is academic (page) poetry, when footnotes are compared or forgotten where “originality” is prised — what a joke! that is the real joke i.e. that stance of “genius” and “originality” allll so self important i should think. And with respect to slams — they ARE competative even if their intent is to subvert the gatekeepers! Sorry, I’m a bit confused. Umm…who said anything about radical? i did. but thats fine. you obvs just want to be a winner. thats why you love competitive slams. you can win and others lose. gatekeeping worse than anyone. some of us want to make art without competition. we dont have anything in common. I’m sorry this ended so badly radpoet. You seem like someone I could really get to know. DM me if you want to share art some time. World War One cannons (on the Parade). & believe me Pi, it gets even better because I WROTE IT!!! Woodie Guthrie (re-quoted by Pete Seeger!) said, ‘plagiarism is basic to all cultures’ – but Guthrie was singing folk songs, not entering competitions where ‘original work’ is a standard entry requirement. Just because Guthrie is right doesn’t overcome a fundamental deception in this instance, regardless of intellectual posturing either way or the harm (or otherwise) perceived by the ‘plagiaree’. in the pantheon of Australian literature??? the only way to plagiarise??? and what of “found poetry” pray where will we put it??? is it still the same poem??? Please find attached my somewhat tangled yet considered response – from one protester to another. Ern is well beyond this silliness. plagiarism is a poor man/woman’s copying! Utmost respect & Social Democracy. Ern is not beyond this silliness! He invented it! Dear Wearne, poor-people are ALLOWED to copy. Dear whoever else, the arrogance of “genius” and “talent” is everywhere — too much free-will dear friends. Give me a good crunch! Thank you TT.O. That made 43 minus 17 of my muscles tense and relax, assuming all the muscles in a smile are working of course. Would you say they are all in the face? collectives, plagiarists, despise ‘em both. a conga line of poets? too many different tunes, different dances. a conga line of plagiarists? whom to commence the tune, initiate the dance? Alan, TT.O, lay those fencing swords down slowly and slide them over to me – I need them for something. why does a “Cento Defence” have to be signaled beforehand? why must one be conscious of one’s (poetic) history to participate in it? why is it important to “admit” that that is what is being done? Or is it that if the perpetrator is that “clever” we will allow it? This huge reliance on the “cerebral” seems to me a cloak for “brainy” types alone! In an “oral” culture there is NO plagiarism. But in a written culture there IS! May i suggest an “oral-literate” has no such issues to defend. These cross-overs i think interesting. We often blur the “activities” i would suggest. Why does “plagiarism” instantly pre-suppose ill-intent? In some of the plagiarism i would suggest is a great improvement on the original. I think if plagiarism means “ improving” on the original then go for it! till then, let the issue stew! I don’t get what any of this has to do with Slams by the way; Unless they mean they want to SLAM the perpetrator etc! I’m enjoying your intervention pIO and the interesting questions you raise but I think in oral cultures there are concepts of plagiarism – or very similar to. For instance stand up comedians don’t steal one another’s jokes, etc. He’s not a pie. He’s a funny little boy called Peter. Honesty is a simple thing. In answer to Peter’s rhetorical question about found poetry, that also is simple. You say where you got it, or attribute it to anon. Trying to be smart about it is dumb. Are you saying Peter stole your lines, Alan? Not surprising really. Yes, the Helen Dunmore’s poem Heron is better than Graham Nunn’s plagiarism Platypus. Nunn frequently copies poems about creatures, but makes the creature different, and his copy choice doesn’t actually behave like that in nature. All debates depend on common reference points. “plagiarism Platypus”! That’s brilliant, Ira. Can I use that? I wonder what Plato would have made of it. i think the platypus poem better. All charges of plagiarism judged by academic standards arise from a tradition imposed by that authority. That is not to say plagiarism is defensible – only that the charges placed against Graham and Andrew in this article don’t stick very well when you take the appeals to tradition and authority out of it. Mr Clemens may have a say here, but I suspect not, going on proceedings so far, so let me say in the interim that you have conveniently excluded the all important rider “self-serving” (“self-serving appeals to tradition”), whereby, should the cento defence be allowed to hold, plagiarism becomes a defacto poetic genre condoned by the authority of a tradition. Just not on, Brad – because unjust. I take your point, court martial. I interpreted ‘self-serving’ in this context as a sort of emotional appeal aimed at reinforcing the idea that all appeals to tradition are self-serving by their nature. I hadn’t considered that some appeals to tradition, like those that support the argument that plagiarism is unjust, could be altruistic. Makes sense. Maybe the argumentum ad antiquitatem is not always as fallacious as it’s commonly made out to be. Thanks for your thoughts. Put another way, if the cento defence holds and plagiarism is allowed to reign in genre heaven (and I shouldn’t need to make the quotation here, but given the circumstances…) “mere anarchy is loosed upon the (poetic) world” – see Pi O (above and above and above…). I deeply admire Chuang Tzu’s dictum ‘disputation is the first sign of doubt’ and not arguing is my policy. I just go around and when I encounter some poor soul/s struggling under the oppression of ignorance I try to help, that’s all. I guess you are passionate in your defence of plagiarism as an art form because you use so many question marks and exclamation marks and unnecessary capitalizations. Are you aware that this comes across the page as shouting, and suggests that you’re worried that without these appurtenances your words may not work with the strong juju you want them to have? Also, one wonders if you doubt your arguments, which would be good for you. Pete, your prose is shaky and one readily understands why you might feel more at home in the vaguer world of poetry. Let’s talk simply. I realize that this causes discomfort among poets. The last great poet to write in plain, comprehensible English, Pope, has been castigated for it for 300 years. The same thing happened to McGonegal, too, but I’ll risk it. Ordinary people would normally walk a country mile to avoid buying a poetry book (Why? Why?) But when something drastic happens to them, like they fall in love or die, they immediately start writing a poem. Odd but true. They usually stop at the one, which is one of the great virtues of ordinary people. Sometimes they will use the works of another, especially Shakespeare. Whether they acknowledge The Bard or not doesn’t matter because they usually make a mistake (‘foul sweep’ – my favourite) which would make it legal if it were not already out of copyright which hadn’t even been invented in Shakespeare’s time. And it doesn’t matter because they’re not going to make a habit of it, they’re not trying to get a cash prize (ahead of others who have done their own work and written their name at the bottom with their age) and they are not trying to arrogate to themselves the august title of abuse, ‘Poet’. The article made clear that the word ‘plagiarism’ was used in its naïve sense as a cognate of stealing. That’s what the word means. There are, it is true, various systems for using the work of others as your own, like cento, and complection, and others, all starting with ‘C’. On any given day there are thirty or forty people trolling the Mitchell Library for stuff. In my experience people who indulge in the various forms of ‘Claytons plagiarism’ are having trouble finding something to say. In earlier days, I hear tell, the ancestors of these characters used the term ‘liberate’ for stealing and they would throw things out of moving cars with an absolving cry of ‘biodegradable!’ Defend evil if you will, but don’t expect people to be swayed by what you think are arguments. With all due respect, Pedro, please understand that agitprop poses and inanities are not arguments. No serious writer seriously asserts that the use of language is in itself plagiarism. It’s a joke, Joyce! It looks a little like you want to use poetry as a vehicle for the resurrection of Stalinism. Stalin died in 1953, buddy, and his system was bankrupt well before that. But if you want to do it, do it and good luck! I am not sure what you mean by ‘white language’, Pete, but, if it is as silly as I suspect, I will have you know that I can write ‘419’s with the best. I know a couple of other things too. I know that the greatest impediment to the advance of language is literate people. I am saying, Peter, the baton is yours, especially if English is your second language. Now, did you use Alan’s work? Is that what he was suggesting? It would be a low act especially to a serious practitioner like Alan. If someone else uses his words before he can publish them then he looks bad. Don’t try that out in the world of comedy. It’s not a joke, and no amount of fatuous theorizing will make it so. Honesty is a simple thing. BTW mind if I use that ‘language is the last bastion of oppression’ line, geez didn’t that sing like a sawbench! Only kidding, buddy. It stank. On the ethics (and aesthetics) of plagiarism, I highly recommend Angelaki: Journal of the Theoretical Humanities 14.1 (2009) special issue: plagiarism! from work to détournement, edited by Niall Lucy and John Kinsella. Here’s something I wrote earlier (https://www.youtube.com/watch?v=htFfpLdZWW4). I never knew you were a composer! Overland really should be charging parking fees here. I read Mr Pham’s so-called apology. How pathetic! What a pack of lies! And now he’s talking about reconnecting with god. Yuck. What a hypocrite. He and all the other poets who have stolen other people’s love, sweat and tears should be isolated, sent to Coventry and a boycott organised of their work and activities. Agreed, a good healing procedure, but listing his poem and the number of lines, phrases or words taken in parallel with the listed source poems would be better. Collaboration as a resolution to the the plagiarism problem? Doubt it, egos always seem to get in the way. Creating and collaborating without attaching names (of ownership) may be the better resolution. Then it’s the ideas and meanings of signs that’s the important consideration, not who owns the signs. That is, a direct and ongoing challenge to ownership laws. I don’t envision a challenge to the ownership laws of private (and public) capital as necessarily implying slavish copying, nor doing Ph.D’s for that matter. That’d be old schoool should such a movement take effect. Mr Clemens asserts: “… prize committees are so often composed of personages with a mediocre or restricted palate of tastes (and possibly of a restricted knowledge about poetry).” Hmmm? How often is ‘so’ often? In one per cent of cases, 10 percent, 70, 90? Has he investigated the make-up of all, many, some prize committees from the beginning of time till now, in Oz, or in Europe, or everywhere, to arrive at his estimate of ‘so often’? Or is this a hollow generalisation? Also, according to whose judgement might these personages have ‘a mediocre or restricted palate of tastes’. In Mr Clemen’s opinion? Or has a committee been set up, or some watertight theory been applied, to judge such things? Or is this just a convenient opinion to enable the unstoppable rhetorical flow of Mr Clemen’s seeming argument? Furthermore, Mr Clemens goes on to say: ‘The prize-giving panels are therefore partially responsible for this unfortunate sequence of unpleasant events…’ But there is no ‘therefore’ here, or responsibility. If all the judges in a panel had inadequate taste (according to some reliable rule of thumb that can be agreed upon) that does NOT mean they had agency to make, encourage, permit, urge, enable the poet to decide to send in something that might be construed as plagiarist. Even if the judges had the wisdom of Solomon and the massive and ineffable erudition and cultural grasp of Mr Clemens himself, even then, even facing such a paragon of taste and refinement and intelligence as Mr Clemens, or a judging panel consisting of three cloned Clemenses, such a bulwark against mediocrity, the plagiarist might still have tried it on. After all, it was her or his decision to do so, to Frankenstein the dodgy poem in the first place, then send it in, not the judge’s. But, Mr Clemens continues: ‘…not so much because they didn’t know or didn’t check the details of the submissions, but because their tastes in poetry are essentially for middling, middle-brow palliatives.’ Aha! Well there we have it. A snob unmasked! We can’t indulge such plebs, can we! And all the people who read the winning poems must also and inevitably and necessarily be second rate, too! But the point missed here is that the audience for poetry is very diverse, and perhaps should be. Also many judges ARE adequate and more than adequate to the task. But the unreasonable task Mr Clemens proposes – of being across every poem ever written, is by his own logic an impossible one in the digital, or in any age, so it’s not the judges fault that the fox creeps in. Furthermore, judges would likely (and perhaps naively) have simply taken it on good faith that poets entering competitions are being honest in observing the rules of such competitions, which state that the work is original (in the ordinary sense of that word) and not previously published (by anyone, not just the prize enterer). There is also the point that prizes often have several judges, who don’t always agree; or ‘so often’ don’t. Give us a break, Mr Clemens, get a bit of fairness and perspective in your of so superior (read absurdly arrogant) dismissal of judges and their supposed ‘palate of taste’. Possibly more than a decade ago there was a publication The Australasian Post. Every year or so it would publish a poem, “The Great Australian Whinger”. Would any of this site’s members be able to tell me if it is available in print or some other form, please :-)) Greatly appreciated. Edward. TT O – mate, if you can be bothered, go to http://www.poemanswers.info/page/2 for a blog titled Not a Shakespeare Sonnet I wrote last year on this topic, building on an idea I stole from someone else. . . like any good idea.